New Year. New Site. New Stuff! Happy New Year! It was time to overhaul my website, and I really wanted to check out SquareSpace. I was very impressed with the relative ease of migrating the entirety of my blog over. I also like the eCommerce aspect of SquareSpace and plan on finally launching my first Shop where I'll have Sketchbot related product and some other goodies planned throughout the year, so definitely stay tuned for that! The New Year also brings in my first published magazine cover! 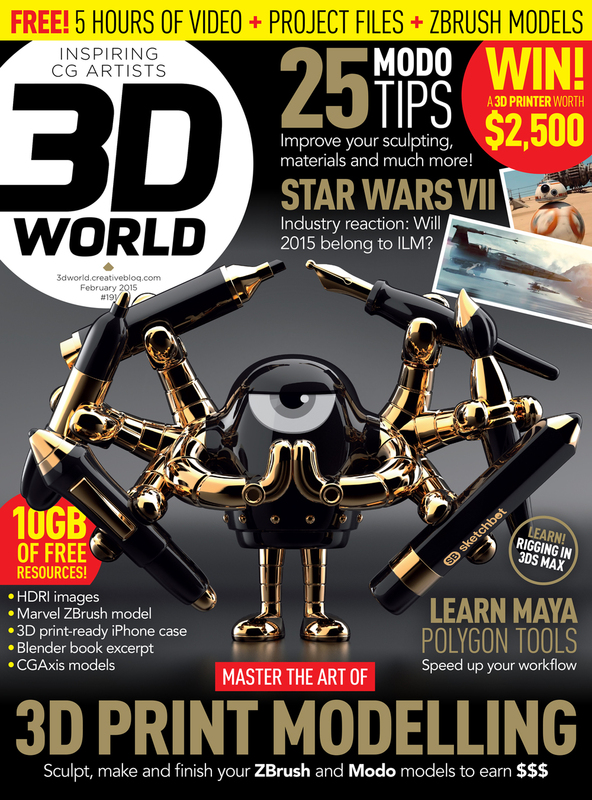 I was excited to work with the editorial team at 3D World Magazine for the February Issue, #191. 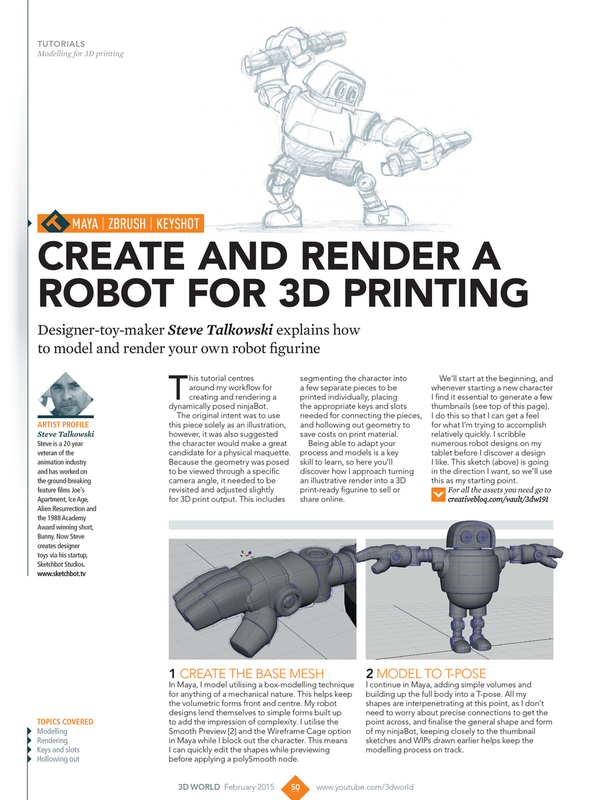 I also have a 5-page tutorial in this issue showing how to take a robot character from Maya to Keyshot, and using ZBrush to prep the geometry for STL output, and eventual 3D Printing. Feel free to look around at the new projects posted, and be sure to drop me a line in the comments below if you have any questions. Thx!